Curtains have come down on a five-day referees workshop, held at the Hope Center, which targeted officials from FKF Nairobi West Branch Grassroots Leagues. The course brought together match officials and club officials from the Branch’s leagues who have previously not undergone training. They were taken through the Laws of the Game and Fairplay. The closing ceremony was graced by FIFA Instructor in Charge of Africa Mark Mzengo from Malawi. FKF NEC Member Nabea Murithi, Referees Committee Vice Chairman Antony Makau, Referees Manager Silvester Kirwa amongst other FKF Officials. 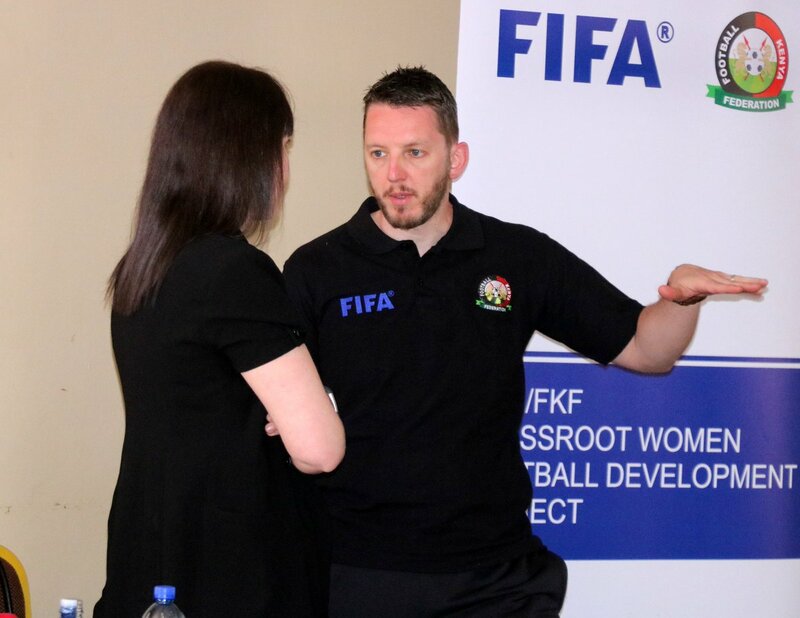 “This course was aimed at keeping our young referees abrest with the Laws of the game. We are committed to raising the standards of officiating and such courses are key in this program,” said Referees Manager Sylvester Kirwa.